When buying media for advertising, it can either be priced in gross cost or net cost. These two alternative costing methods are super-confusing even to long time veterans inside the advertising industry. 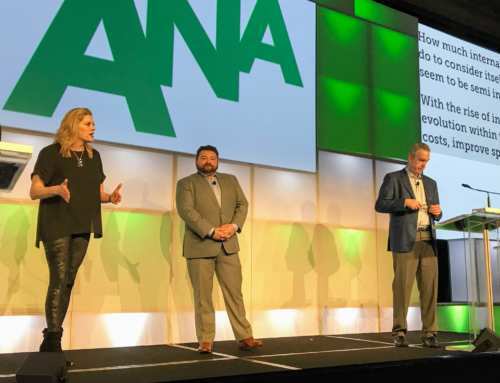 “Net” and “Gross” dollars are an archaic holdover from a compensation model that no longer exists, and the current differentiation between the two serves no purpose other than to create a source of confusion and inefficiency in the media supply chain. 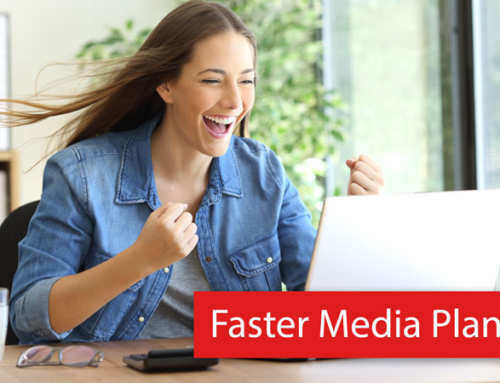 Although technically obsolete, the tradition of gross media pricing persists in traditional advertising media such as television, radio, billboard, and print. So, it’s important to understand and deal with gross media cost and its relationship with net media cost. What is Net Media Cost? Net Media Cost is simple and straightforward. Net media cost is the amount you pay the media vendor for the advertising media. This is what you pay the TV station to air your ads. This is what you pay Google to show your ads. This is what you pay the New York Times to print your ads. 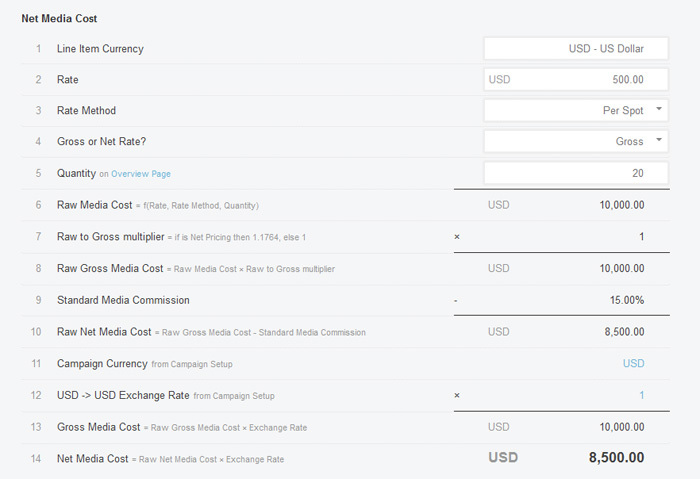 What is Gross Media Cost? Back in the old days when advertising agencies took a standard fixed 15% commission, Gross Media Cost was the amount you paid your agency to place your ad with the media vendor on your behalf. The agency kept the 15% as compensation for themselves and sent the remaining 85% (the Net Media Cost) to the media vendor. 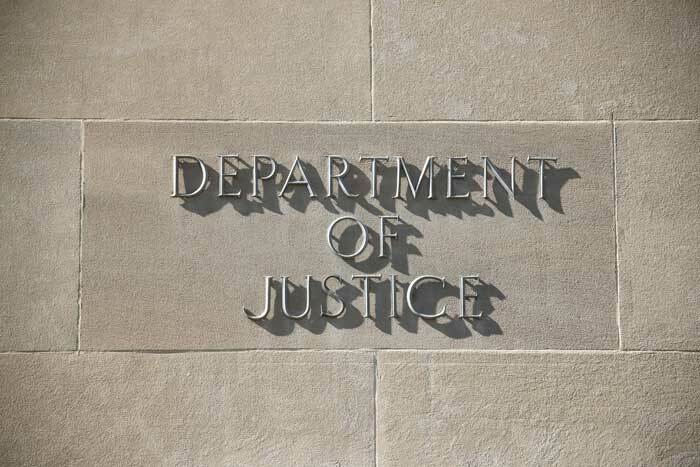 But this “standard commission” was long ago deemed illegal by the Department of Justice. Why? In a nutshell, it’s illegal because it’s anticompetitive for an entire industry to agree on a set compensation amount. Despite this inconvenience of illegality, traditional media is still often priced in gross rates. To find the real cost of the advertising media – the Net Media Cost – you have to do a little math. 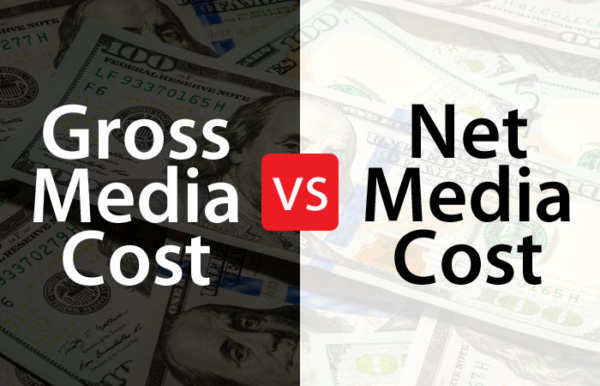 Net Media Cost is always the Gross Media Cost minus 15%. You will also pay your advertising agency on top of this Net Media Cost for the work they do for you. These days, there are a variety of compensation methods. Some agencies still operate at 15% of gross, but that’s rare and becoming rarer. Some still use commissions of varying percentages and calculations. Others bill for their time. Others get compensated based on performance. There’s no perfect formula, but keep in mind that you will be paying your agency above and beyond the Net Media Cost. 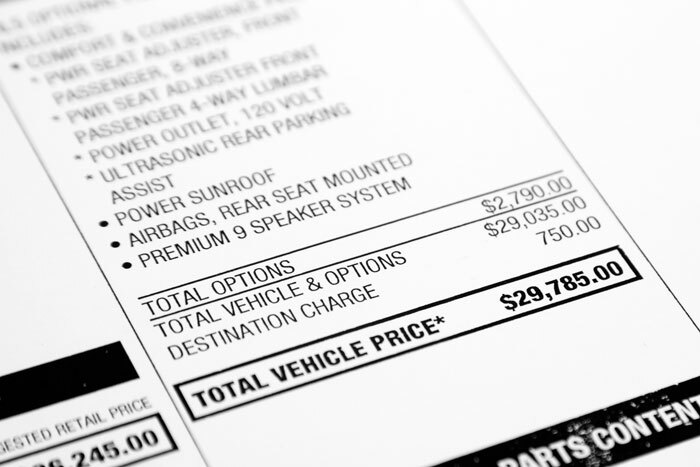 When you visit a car dealer to buy a new car, you see pricing stickers on the windows of every car. But you don’t expect to actually pay the price on the window. Instead, you do a little research to find out the dealer invoice for the car (the dealer invoice is the equivalent of the Net Media Cost). You expect to pay a bit more than dealer invoice to compensate the salesperson (this is the equivalent of the agency compensation). But the amount you pay is almost certainly not the sticker price on the car. Likewise, in media, you almost never pay Gross Media Cost for the media. There are still some holdouts to the old method, but that’s becoming extinct in the age of digital media. It’s only in rare cases that you would want to “gross up” your Net Media Cost, except maybe to force fit newer digital media into an old system meant to support traditional media. 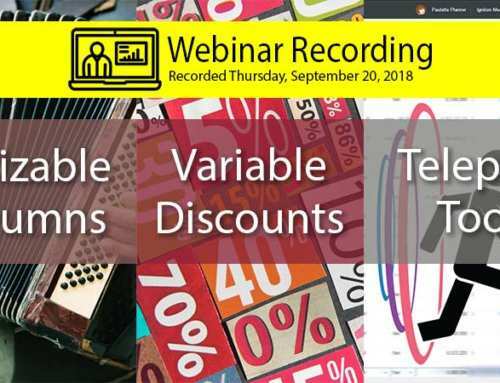 It’s a hassle to always be translating back and forth between gross and net costing. Any media planning system worth its weight will automatically translate between gross and net pricing for you. This will ensure you are always doing your math correctly. 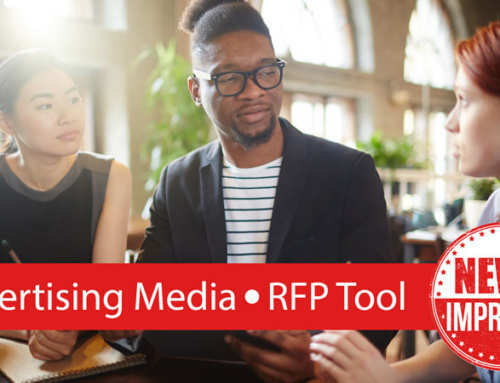 If you handed your client a digital media plan with Gross Media Cost pricing, you’d confuse everyone in the room. If you handed a website or mobile publisher an insertion order with pricing in Gross Media Cost, you’d look like a dinosaur. You only want to show gross media cost in situations when it’s expected. Again, your media planning system should handle this for you. If you’ve got line items in your media plan priced in gross, then show a column for Gross Media Cost and show the Gross Media on those lines that are priced in gross. Otherwise, if everything is pricing in Net Media Cost, don’t show the column. Although Gross Media Cost is vestige of the past, it’s still firmly entrenched in traditional media buying. There’s no sense in fighting it. But it’s important for your media planning software to handle it gracefully to avoid embarrassment. 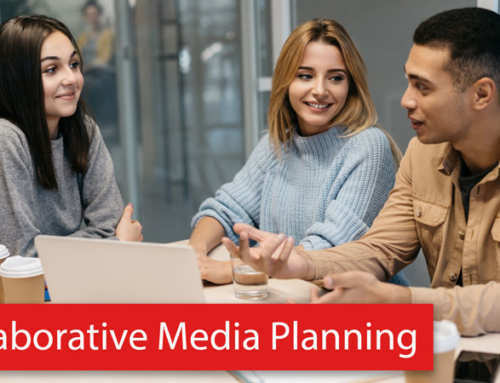 The Bionic media planning software enables you to plan every penny of your media plan – both traditional and digital – through a modern, web-based interface. It handles net versus gross pricing and myriad other issues related to multi-channel media planning.